The fifty-third conference of the Mormon History Association will be held June 7 – 10, 2018, at the Grove Hotel and Convention Center in Boise, Idaho. The 2018 conference theme is “Homelands and Bordered Lands.” The deadline for proposals is November 15, 2017. The time is drawing near for the 2017 John Whitmer Historical Association Conference to be held in Nauvoo, September 21-24. The annual Silent Auction is something that most conference-attenders enjoy. But, to make the auction successful, items to sell are needed for the auction tables. We would invite each person attending the conference to bring at least one item for the auction. Books are the bulk of the auction, and always welcomed. Thinking “outside the box” for donating auction items could make things more interesting. Please consider donating items other than books; things of value that you would be willing to part with for a good cause. Even services such as personally conducted tours or research hours might be possible donations. 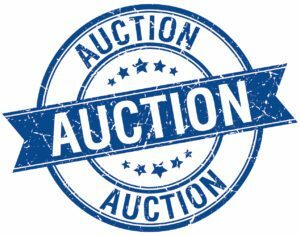 Please enter your auction donations here. Your donations are needed and greatly appreciated. THANK YOU. Our 2017 conference in Nauvoo is fast-approaching! Please read this message from our program chair, Sherry Morain.